Home sales in the Dallas-Fort Worth area are seeing the quickest turnover rate on record, according to the Real Estate Center at Texas A&M University. Selling a home is taking, on average, 30 days or less, and the supply isn’t able to keep with the demand. So great news if you’re looking to sell your home in the Dallas-Fort Worth area; you’ll have many potential buyers lining up and knocking at your door! 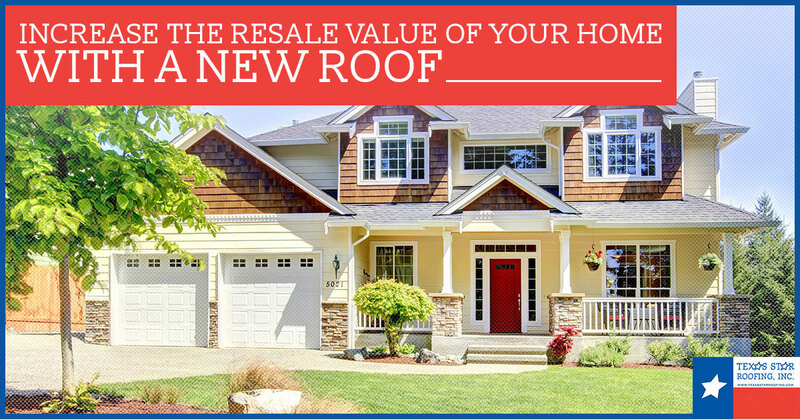 While the market is ever in your favor, you can improve your resale value through a new roof or roof restoration. This isn’t necessarily the first thing you’d think of, as many people love to invest in kitchen or bathroom restoration, but a new roof adds so much more than aesthetics to your home. It keeps the elements and shelters you — it’s imperative to have a functioning roof! 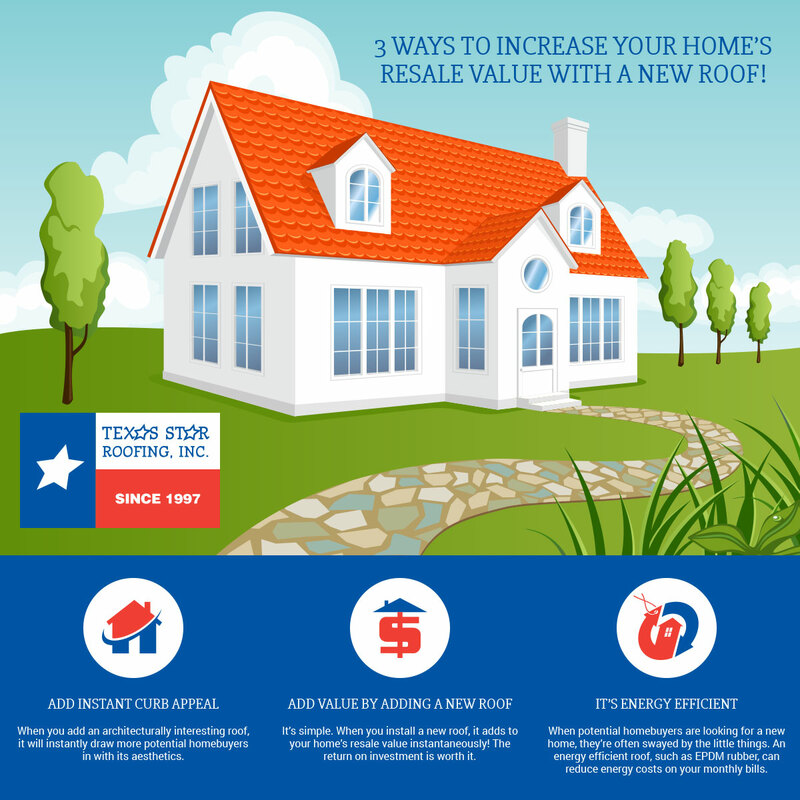 Find out how a roof can increase your home’s resale value. If you’re looking to sell quickly, a new roof may be just what you need! It adds a very tangible source of monetary value to your home, but it also adds value in ways that are difficult to measure. A new roof looks very aesthetically pleasing from the outside, which causes more people to stop and look or inquire about your property. With more interested buyers, this increases your chances of selling sooner, with many buyer offers to choose from. This may not only mean more money, but it reduces the cost of maintenance, real estate fees, and marketing. Adding a new roof to your home will increase its value, on average, by $12,000. So, it may not increase the value by 100 percent, but it’s a great investment for the added value it brings. Variables do contribute to the overall return on your investment of a new roof when considering the condition of the original roof and the type of roof that will replace it. If your home is in a higher price range bracket, people are more willing to pay more of a premium to not have to worry about replacing a roof once they move. The type of roof will also increase the return on your investment if it adds architectural charm that enhances the value more than a traditional roof, which will also stand out to potential home buyers. A new roof can add energy efficiency to your home and decrease your monthly energy bills. When a new roof is installed, proper insulation is is added, and it helps prevent hot air from escaping your home in the colder seasons, thus, reducing the need to overly heat your house because the heat is now more efficiently contained. You’ll end up saving on gas or electricity costs and help the environment simultaneously. 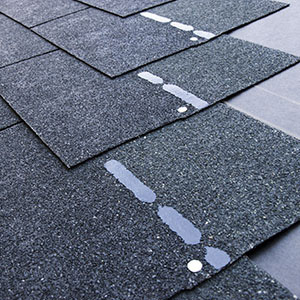 The best type of roofs that help to save energy are ballasted roof systems. These systems are laid with a loose membrane and held by stone or concrete pavers; it’s a type of roof that we at Texas Star Roofing can provide. At Texas Star Roofing, we have over 20 years in new roof installation and offer an amazing assortment of roofing options. We can perform roofing jobs, such as roof replacement, roof leak repair, and new roof construction, for both residential and commercial properties in the Dallas-Fort Worth areas, which includes Plano, Allen, and Frisco. It’s always important to find the right company to do the job correctly the first time. We continue to educate all of our roofing technicians in the newest roofing technology and procedures. Take a look at the various roofing awards we’ve received in our community . If you value personable customer service backed with high-quality products, contact us today!